The Leinster Hockey Association Limited (LHA) is responsible for hockey and its promotion and development in the province of Leinster. 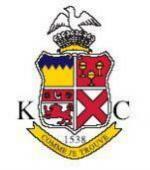 While the association was founded in 2011 following the merger of the Leinster Branch Irish Hockey Association (LBIHA), Leinster Ladies Hockey Union (LLHU) and the South East (SE) Branch, both the LBIHA and LLHU can be dated back as far as 1901 and the South East was formed in the 1930's. Currently there are over 40 clubs and 90 schools playing hockey under the auspices of the LHA. The association also has 14 Inter-provincial teams. 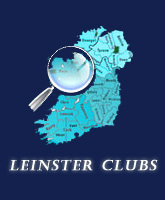 The Leinster Hockey Association Limited is a company limited by guarantee. Registered Company Number : 494310. Registered Office: 28 Charlestown Avenue, St Margarets Road, D11 PW28. The LHA via its various committees runs all competitions in the province including Senior Men's and Women's cups and leagues, Senior and Junior Schools Competitions, Junior Club Hockey Leagues, Underage Blitzes, Vets Leagues and Social Hockey. 27th July 2017 - this page is currently being updated.